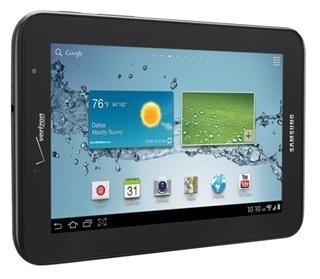 Granted, folks in Canada were the first to get their hands on the Galaxy Tab 2 7.0 but now (finally), Samsung will be bring this amazing tablet to Verizon USA on August 17 (2012). To get this 4G equipped tablet, you will have to shell 350 dollars and this will get you one contract free. Specs include 7 inch display, 1024 x 600 pixel resolution, 3.2 mega pixel camera, 8GB flash storage, micro SD card slot, Android 4.0 ICS and 1.2GHz dual core processor. This is slightly different from the International version though which comes with 16GB flash storage. Nevertheless, storage in either should not be an issue as they both don micro SD card slots.